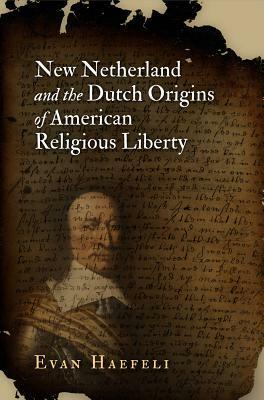 The legal and philosophical analysis is dense, but this book is a great intellectual genealogy of religious liberty in Dutch North America ("New Netherland"). The Dutch government was OK with personal liberty of conscience, but not so much with the public worship of people who were not Dutch Reformed Christians. Reading about those who connived against Dutch restrictions — including some Dutch Reformed citizens, but also Lutherans, Jews, Quakers, Baptists, etc., who lived in New Netherland and other Dutch colonies — is fascinating. To me, this is totally "new" history. We didn't get a lot of Dutch or New Netherland history in high school! Evan Haefeli - Evan Haefeli, Associate Professor of History at Columbia University, specializes in colonial American and Native American history. He has published on indigenous relations with European colonists, the experience of captivity, the history of the book in early America, colonial revolts, witchcraft, religious conflict, conversion, and toleration, as well as the role of European imperial competition in shaping colonial American society. He is currently completing a long-term study of the complex origins of American religious pluralism. His research interests include early modern religion and colonial American society (especially in New England and the Mid-Atlantic), politics, cross cultural relations, comparative colonialism, frontier relations, the history of the book, Atlantic history, and the history of religious tolerance.